J Precision’s cylinder heads gave us a 1987 Ducati F1 with enough power to outrun a pre-Testastretta Ducati 4-valves. With peak torque developed at just over 5,000rpm, the engine delivered the kind of performance that put me in a league beyond my riding ability and simply gave me an unfair advantage. The J Precision heads were an instrumental part of the overall performance edge that got us a trophy every time the bike was raced; In fact, the F1 still holds the distinction of being the only vintage bike to ever race in the Canadian Thunder Series (where it amazed everyone by running in the Top 3 against highly modified modern machines). 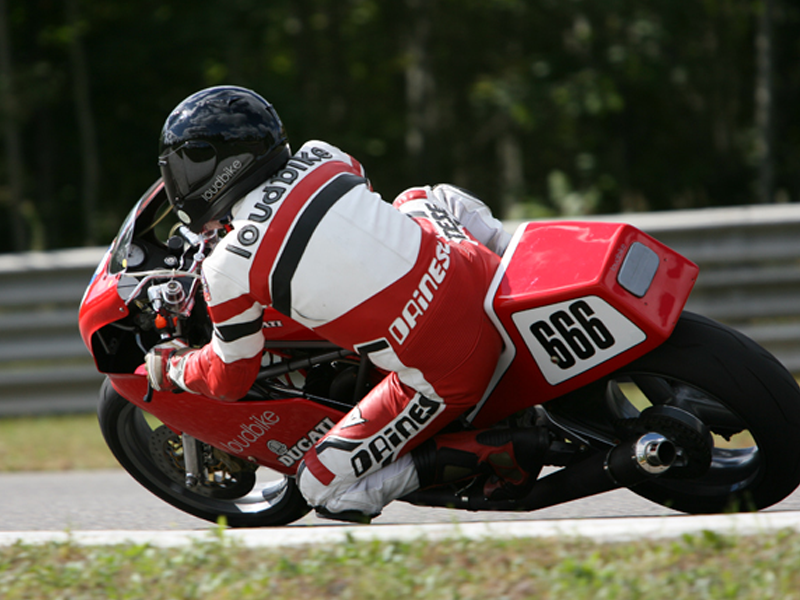 The loudbike F1 is still in service after 6 years of racing and track days; now ridden to podium finishes this past (2011) season by new owner Paul Robbins. And as a testament to the quality of Patrick’s workmanship, the J Precision heads have only required a valve and seat touch-up during the engine’s 6 years of hard use.